100% officially licensed Disney Pixar product from Mad Engine. Cars is a great animated Disney Pixar movie franchise. The cartoon revolves around a young ambitious driver, Lightning McQueen, and his desire to be the best on the Piston Cup racing circuit. Aided by his friends, Mater the tow truck and Sally, Lightening learns there is much more to life than just winning races. 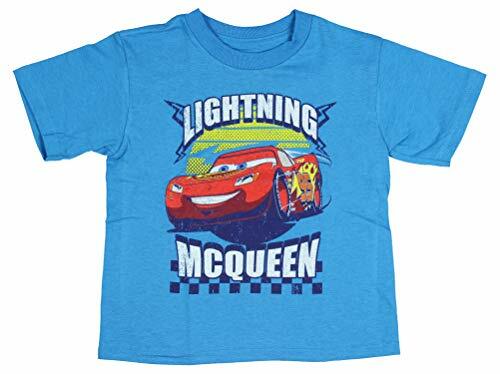 This toddler shirt features a Lightning McQueen 95 cartoon character graphic. The tee is made of 100% cotton material. It is a short sleeve crew neck tee.